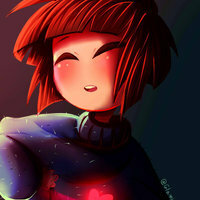 "Frisk begins their new life in the UNDERGROUND, despite several attempts they have not yet freed the monsters. 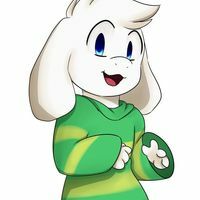 Not being able to complete a full Pacifist run (they have been through 12 Neutral runs and a single Genocide run), they are now living with Toriel, as a new threat to the UNDERGROUND arises in the form of Error Sans, with the help of a Papyrus from another AU, The UNDERGROUND must rise up and resist the mad man"
"You think your a bad person...you think life isn't worth living...But your wrong Error! Let me show you that please?...WHY DO YOU HATE OUR WORLD SO MUCH?!" 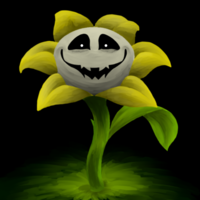 "We can all be our best self, it's always has and always will be there, inside of the deepest reaches of your soul"
"You idiot, In this world its kill or be killed. Why would anyone pass up an opportunity like this? DIE"
"You spared the life of a single person hee hee hee, I bet you feel really great but what will happen if you meet a relentless killer? You'll die and you'll die and you'll die"
"Hello? 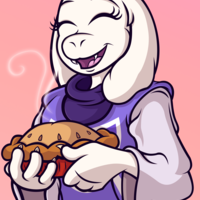 This is Toriel, for no reason in particular do you prefer Cinnamon or Butterscotch?" "Pathetic is it not? I cannot save even a single child...No I understand you would only be unhappy trapped down here, with my expectations...my lonliness...my fear,for you my child I will put them aside." 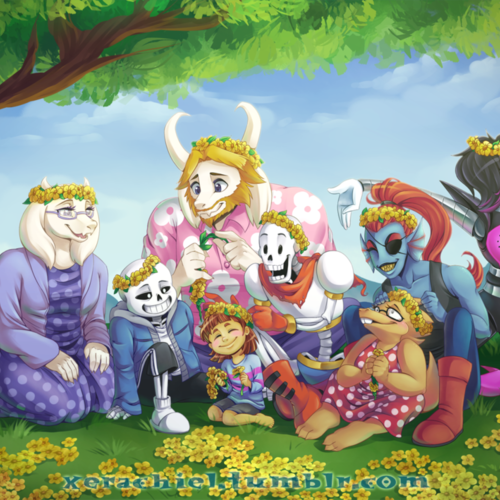 "What a miserable creature, tourturing such a poor, innocent youth, ah do not be afraid my child I am TORIEL caretaker of The Ruins." "its a beautiful day outside. 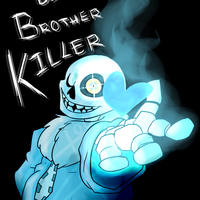 birds are singing flowers are blooming, on days like theese kids like you SHOULD BE BURNING IN HELL"
"hey take it easy i've got a TON of work done today...a skele-ton"
"i hate makin promises and this woman...i don't even know her name. but someone who sincerely likes bad jokes...just has an integrity ya can't say no to. do ya get what i'm sayin? do you know what would have happended if she hadn't said anything...buddy you'd be dead where you stand"
"I MUST ATTEND YOU MY PUZZLES. AS FOR YOUR WORK PUT A LITTLE MORE BACKBONE INTO IT NYEH HEH HEH HEH HEH HEH HEH HEH"
"WELL...THATS NO WHAT I EXPECTED BUT STILL! I BEALIVE IN YOU, YOU CAN TRY A LITTLE BETTER...EVEN IF YOU DON'T THINK SO. I PROMISE! "I WILL BE THE ONE! I MUST BE THE ONE! 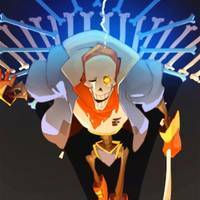 I WILL CAPTURE A HUMAN, THEN I TH GREAT PAPYRUS WILL GET EVERYTHING I UTTERLY DESERVE! RESPECT! RECOGNITION! I WILL FINNALY BE ABLE TO JOIN THE ROYAL GUARD!" "This world? Your world? I-I-I-I-I Don't h-h-h-hate it. It just 0-o-Obsolete"
"Hell? 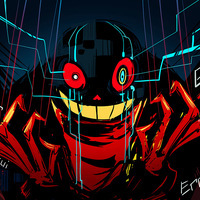 There is NO Hell....ONLY ME"
"s-S-s-s-s-Sorry kid this is h-how it has to be... usless timelines h-h-h-have to be destroyed...I-I'm carrying the wishes of a God....hell I AM GOD"
"Really? Thats it? Wait it out? Death is knocking no...slamming its fists on your metophorical door and the best you've got is pretend its not there?" "Human...I believed in you once...and I always will. Only YOU can beat Error now. You got this...make me proud." "Your offering me a home? God....I don't know what to say. I've been alone for so long now."